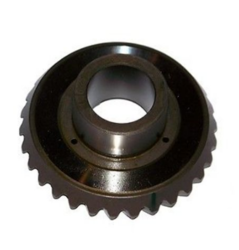 We are engaged in offering Jaw Clutch for auxiliary-main drive application. It is ideally suited for positioning, holding and indexing as well as situations that require the unit to maintaining positive registration between input and output shaft. It is available at reasonable prices. Banking on our enriched industry experience, we are able to supply Jaw Clutch. coupling, a Sliding- half couplingand a Operating mechanism. We are a top-notch organization, engaged in providing M S Jaw Clutch. We are engaged in offering Jaw Clutch.